Located in China’s Southeastern Zhejiang Province, Changshan is a county with an area of 1,100 km² and a rather small population of 330,000. 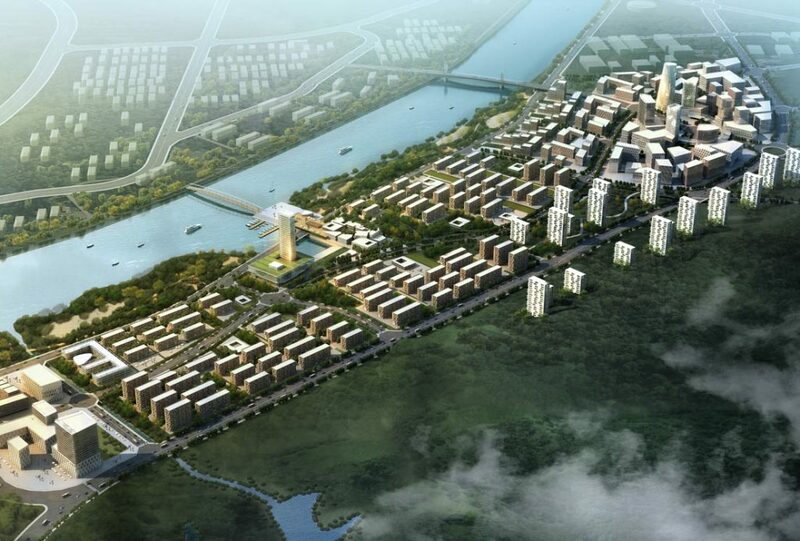 The planning site is the first development stage of Changshan Eastern City. The development area is composed of mainly 4 elements of different use and building structures. 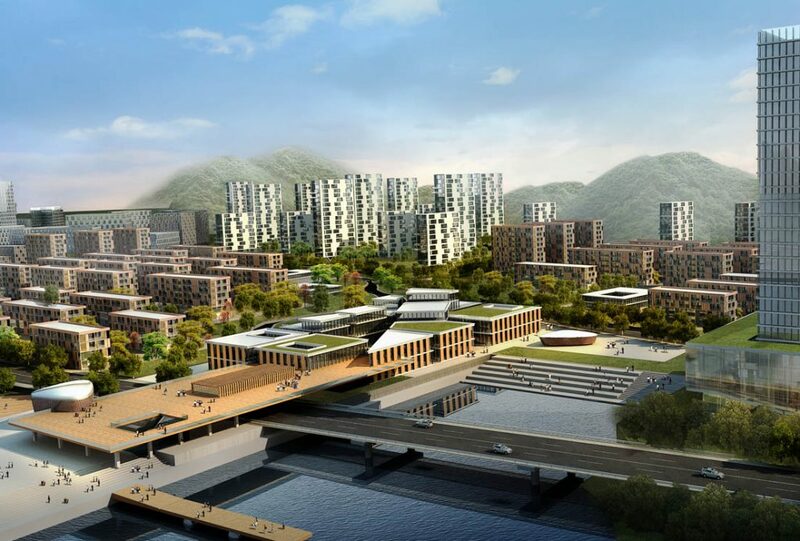 It aims at complementing the main center of the future new town in its west. China Aviation Planning & Con-struction Development Co., Ltd.
Continue reading "Changshan Eastern City"
In general terms, the urban structure is based on hierarchy and identity. Between the different quarters, landscape-designed areas are creating a visual and physical connection, so that citizens can benefit from green recreation areas and the riverside. The arrangement of blocks makes a spatial partition of ‘inside’ and ‘outside’. Spheres of different privacy are defined, and high-quality green areas are provided for the adjacent buildings. Major quality of the development is its sophisticated assignment of ‘public’, ‘semi-public’ and ‘private’ areas which is a crucial feature for the success of a city. 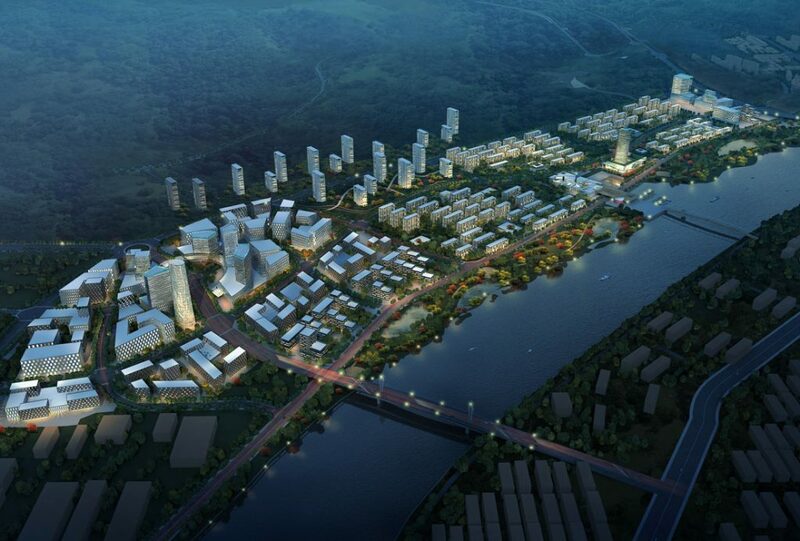 The building heights descend from the Northern main road to the areas close to the riverside, paying respect to the buildings of the old town along the opposite river line. The mixed-use Core Area serves as bridge-head connecting to the old town, across the river. 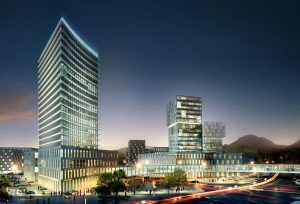 A cluster of several high-rise office buildings are going to shape a significant sub-center of the entire area. Mixed-use functions that make cities attractive in their day-and-night-rhythm are located here. Due to its modular structure, the Core Area is flexible to react to modified requirements on the timetable of development. In the centre of the development, serving as a landmark, a little commercial village surrounding a small harbour creates the main attraction. 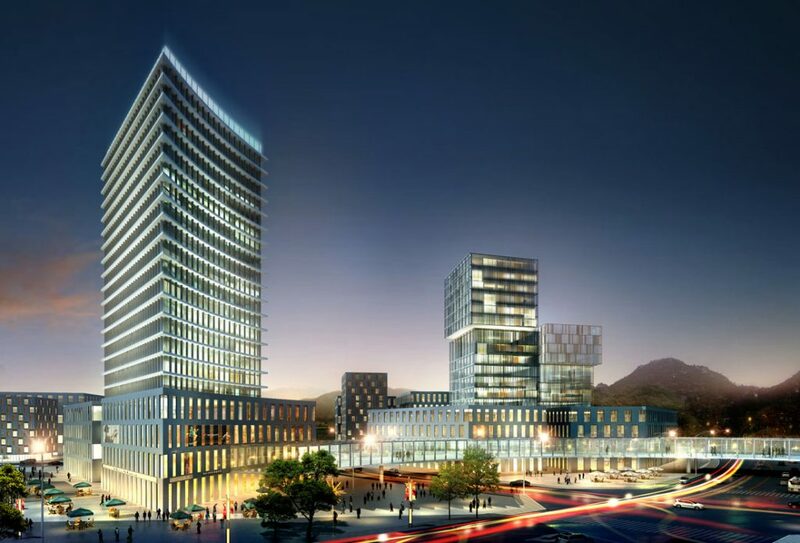 The village – including a high-rise hotel with conference and service facilities – is directly orientated towards the waterfront and enhances the leisure-time atmosphere. Footpaths into the development area and natural hiking paths along the river and green areas will emphasize this area as focal point. 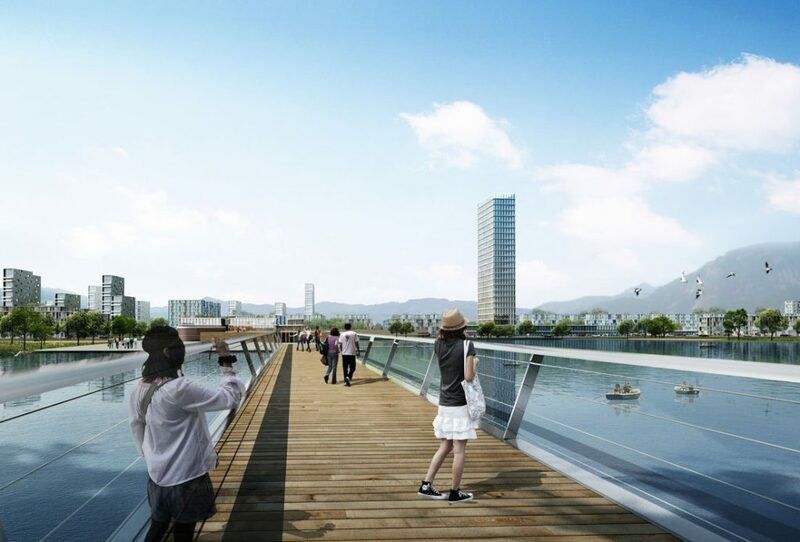 To enable pedestrians a carefree and secure street-crossing, a vantage platform as bridge leads from the second level of the commercial village to the riverside with café and restaurant at its end. The urban structure of residential and landscaped areas create a well-balanced spatial concept with multifaceted relations, links and interfaces. 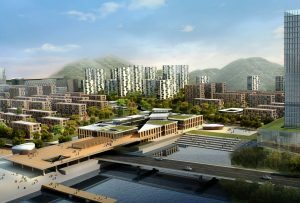 In this decentralized concept, the residential quarters create a livable environment that follows the aim of clearly defined neighbourhoods. Each neighbourhood serves the daily needs of its residents by an adapted offer of shops, retail, services and socio-cultural facilities. 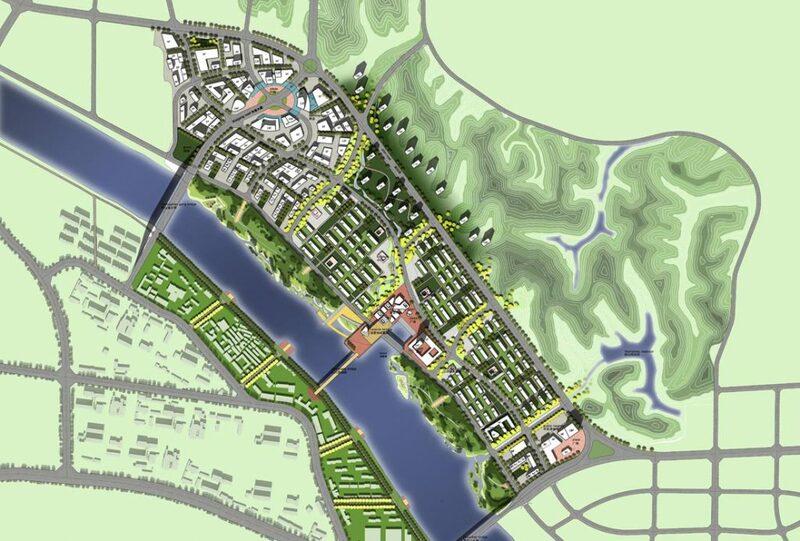 The general idea is a city of short distances, which creates a surplus for certain user-groups and assures a vital environment and specific identity for each quarter.